Why Exhibit at NW Landscape Expo? Bulk Space. (Minimum Space 20' x 50') This space is available for large equipment displays or companies who wish to display numerous brands and models of small to medium sized equipment. This is bare bones space with no drapes or electricity unless purchased separately by the exhibitor. Reinforce your position in the market. A presence at one of the largest and most popular industry events in Oregon strengthens your position as a key supplier. A comprehensive marketing campaign. We bring the right audience to NW Landscape Expo. It's just one more way we maximize your return on investment. This is your time. 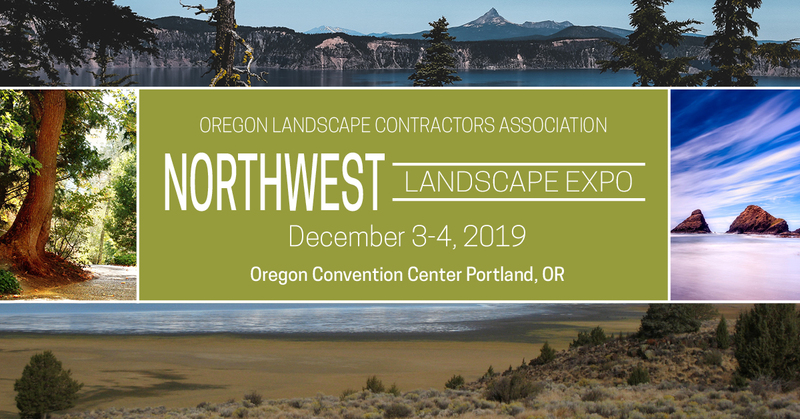 Capture the attention of over a thousand decision makers who attend NW Landscape Expo to learn, network and find new horticulture products, equipment, and services. Make valuable connections that will benefit your business immediately and into the future. Make sales. Irrigation contractors, landscape architects and designers, landscape contractors, lawn care professionals, nursery growers, municipalities, and more are all active participants that you won't find anywhere else. Strengthen existing relationships. NW Landscape Expo is an excellent way for existing customers to see you as an integral part of their industry. It's a chance to show them you're innovative, competitive, and essential to today's commercial horticulture industry. For those exhibitors who donate a door prize: The prize will be announced at the exhibitor's booth during the last break of the day. Prizes must have a minimum value of $50. OLCA will continue its $50 cash give-aways at each break. Click here for a list of 2017 Expo Exhibitors! If you have any questions, please contact the OLCA office at 503.253.9091 or 800.505.8105 or via email at [email protected].